After work, I walked along Peace Avenue back to the hotel in warm sunshine. Temperatures had risen to 21C on a beautiful spring day. It was so nice to walk without being soaked in sweat. 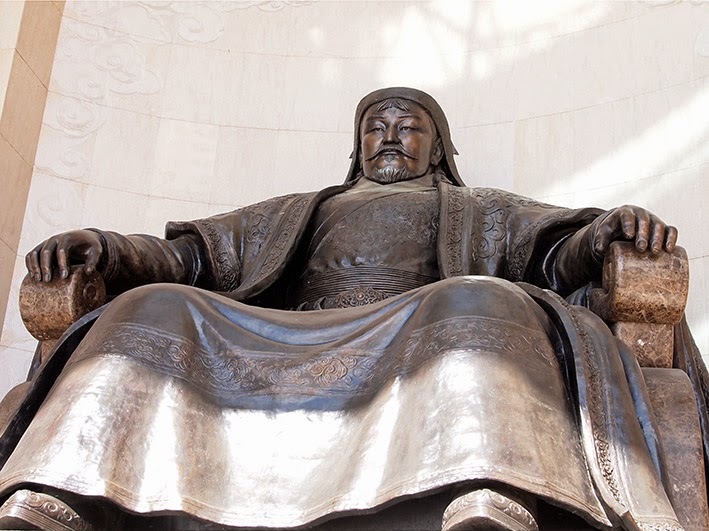 I took a minor deviation through Chinggis Square overlooked by the impressive statue of Genghis Khan from his throne in the middle of the Government Palace. I asked a guard if I could take a photo, which he approved after inspecting my rolls of maps. 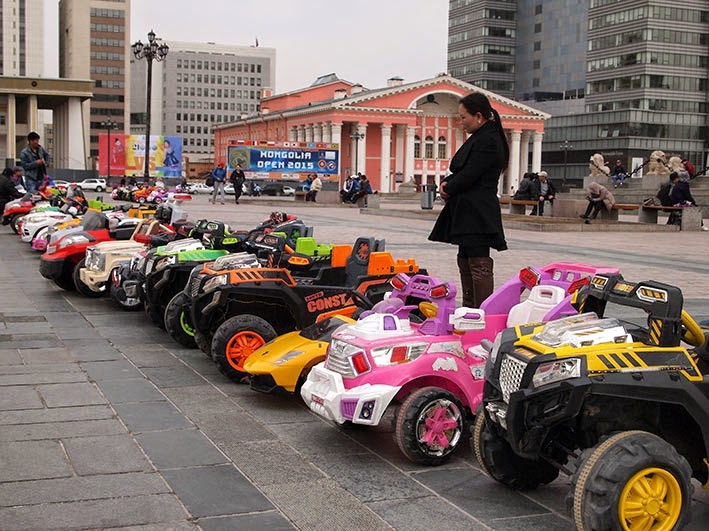 In front of the palace stood a long line of toy plastic cars with (camera shy) minders ready to charge small children for a drive around the square in a purple police car. Tonight’s Mongolian dish was Buuz (pronounce Bose - as in the speakers). 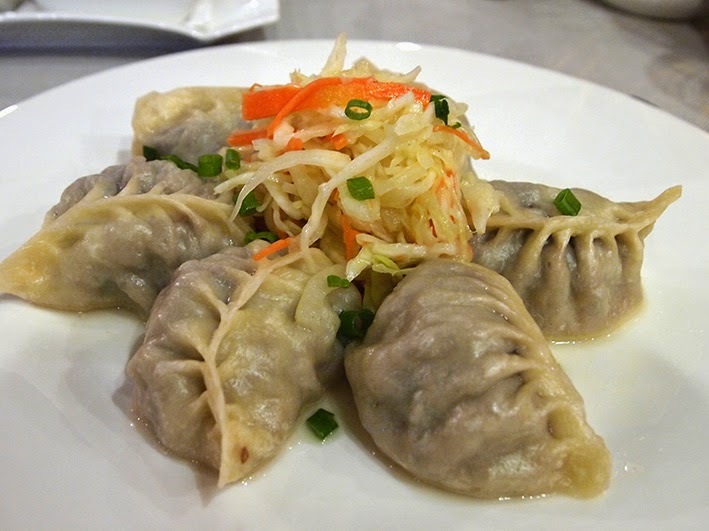 This was another hearty dish of densely-packed steamed dumplings with more cabbage salad. Splendid.